A new scientific analysis of the cancer-causing potential of glyphosate, the most widely used weed killing chemical in the world, has found that people with high exposures have a 41 percent increased risk of developing non-Hodgkin’s lymphoma, a type of cancer. 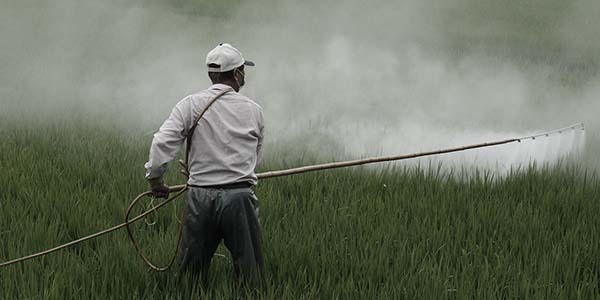 In August last year, in the first case of its kind, chemical giant Monsanto was ordered to pay $289m in damages to a former school groundsman who said working with herbicides containing glyphosate had caused him to develop non-Hodgkin’s lymphoma. While the damages were later reduced to $78 million on a legal technicality, Monsanto was subsequently hit with a further 8,000 lawsuits from other patients who say the chemical caused them to develop cancer. With glyphosate having been found in nearly every food commonly sold and consumed in the United States, and levels in humans having markedly increased over the past two decades, we should all take steps to protect ourselves from it. Significantly, therefore, a study conducted by scientists at the Dr. Rath Research Institute has evaluated the eﬀects of glyphosate on cell viability and examined whether there are ways to protect against the harm it causes. While the results conﬁrmed the extreme cellular toxicity of the chemical, they also showed that speciﬁc micronutrients applied in proper combinations and dosages can provide some protective eﬀects. You can read about this important study in this article on the Journal of Cellular Medicine and Natural Health website.